Investment advisory services offered through Brookstone Capital Management, LLC. (BCM), a Registered Investment Advisor. BCM and McIntire Retirement Services are independent of each other. Any guarantees mentioned are backed by the financial strength and claims paying ability of the issuing insurance company and may be subject to caps, restrictions, fees and surrender charges as described in the annuity contract. Fiduciary duty extends solely to investment advisory advice and does not extend to other activities such as insurance or broker dealer services. Advisory clients are charged a quarterly fee for assets under management while insurance products pay a commission, which may result in a conflict of interest regarding compensation. The content of this website is provided for informational purposes only and is not a solicitation or recommendation of any investment strategy. Investments and/or investment strategies involve risk including the possible loss of principal. There is no assurance that any investment strategy will achieve its objectives. 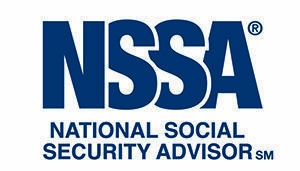 Christopher McIntire and/or McIntire Retirement Services are not affiliated with or endorsed by the Social Security Administration or any other government agency. Website Developed By Venzel Communications, Inc. and Todd Productions Inc.